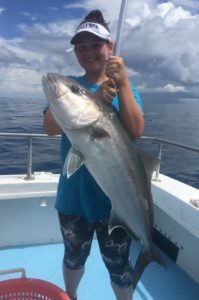 Home » Fishing Report » June Fishing!!! 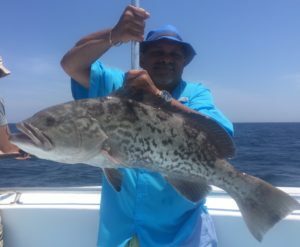 Big Fish!!! 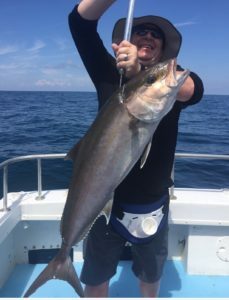 Great fishing going on right now! 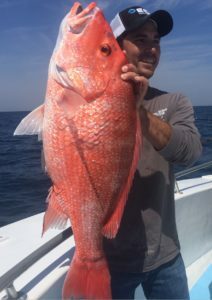 We had some beautiful weather this past week and had some awesome days offshore! 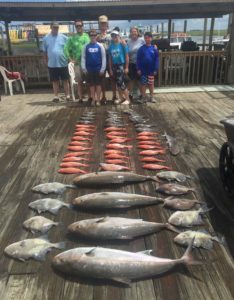 Lots of big fish caught in the last few days and some really great catches! 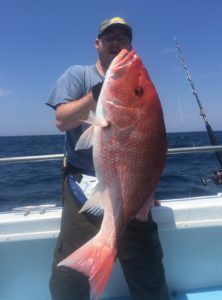 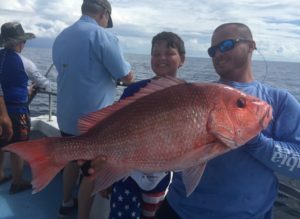 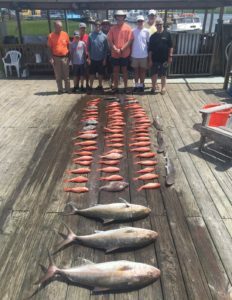 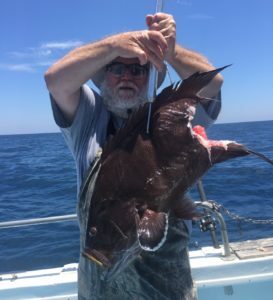 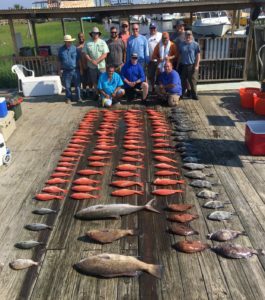 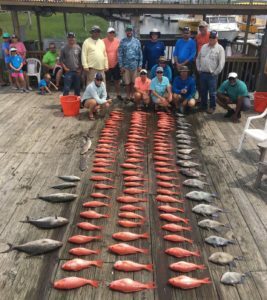 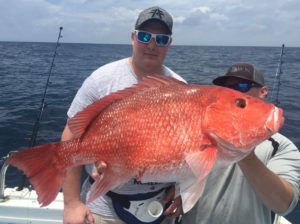 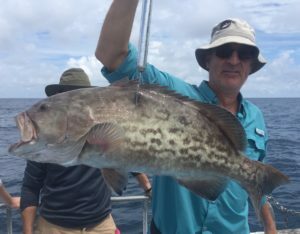 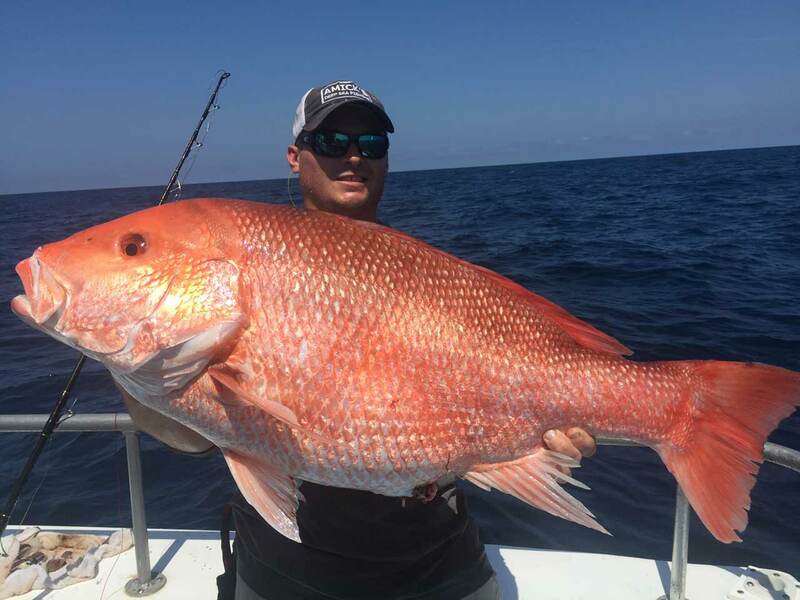 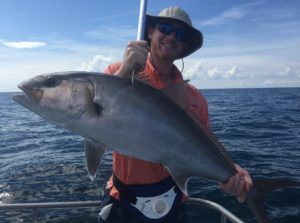 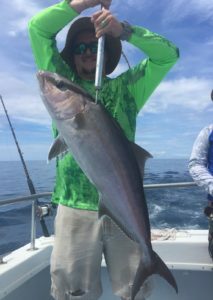 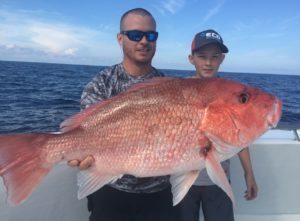 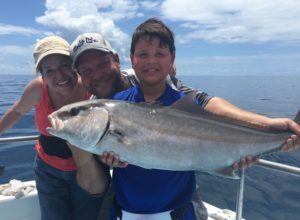 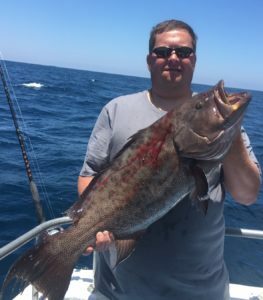 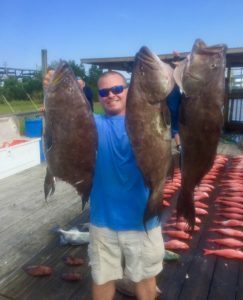 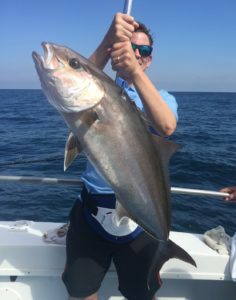 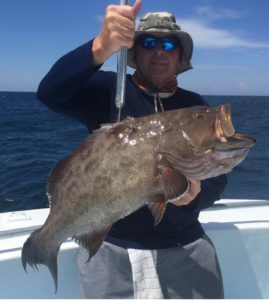 Big Scamp and Gag Grouper, Grasby Grouper, Red Snapper, AmberJack, Almaco Jack, Vermilion Snapper, Black Sea Bass, Bar Jack, Silver Snapper, WhiteBone Porgy, Hogfish, Trigger Fish, Sea Brim, Sharpnose Sharks, Sandbar Sharks and Blacktip Sharks. 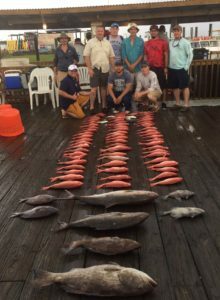 Check out these pictures from our recent trips! 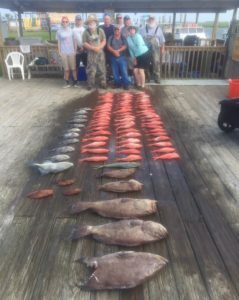 More pictures on our Facebook page as well!